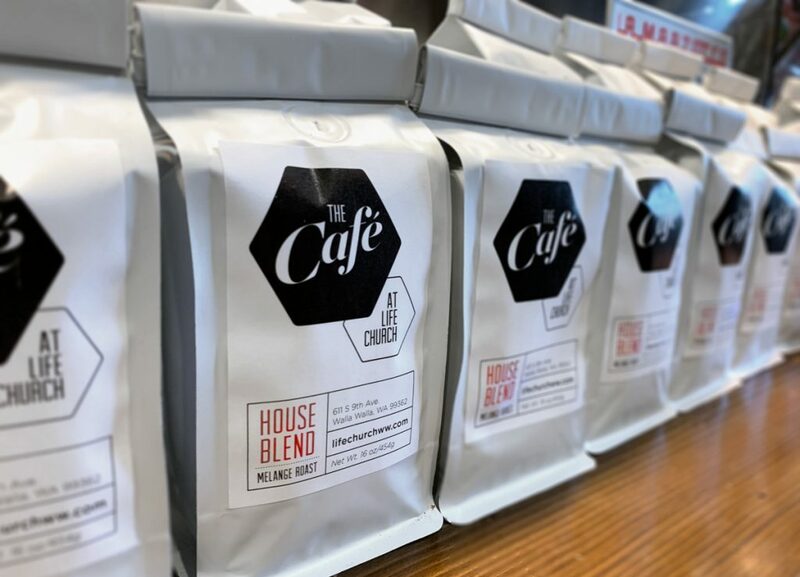 A complete branding package for the newly renovated coffee bar at Life Church Walla Walla. Package included signage, free drink cards, and coffee bean bags labels. The challenge was the bulk of the sales and usage happens within Life Church. Trying to limit over-use of the Life Church name while still allowing for proper name recognition in the community lead to a flexible branding solution. 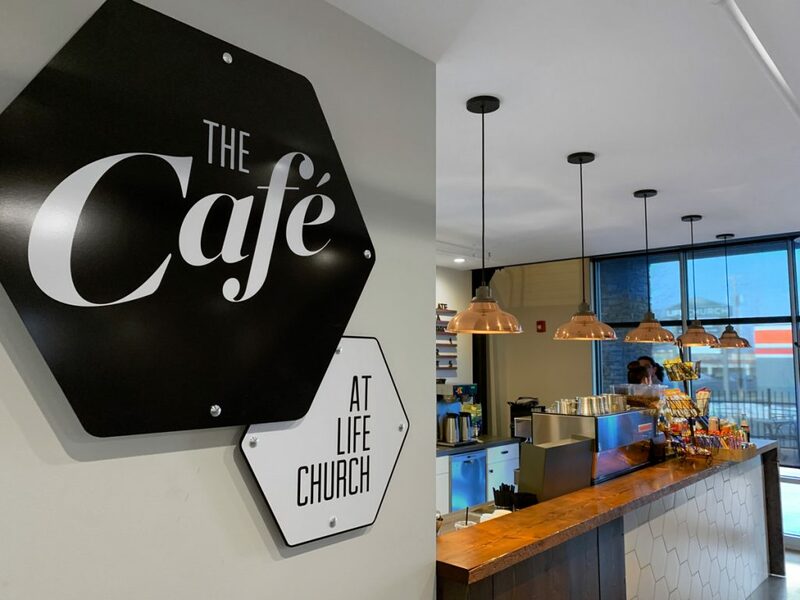 Using strong shapes repeated in the Cafe location and the option to drop the Life Church name to reduce repetition resulted in a successful brand that works within the Life Church branding and stands out on its own when needed.